Pima cotton is a variety of cotton, originally from Peru. The first clear sign of domestication of this species of cotton is from a site in the southern Peruvian coast where found cotton balls dated 2500. C. The Peruvian cotton of 1000 A. C. show no differences with current cultivars of Gossypium barbadense. By climatic conditions and soils of the valley of Piura, it was perfectly adapted to the northern part of the Peruvian coast, where it was introduced in the early twentieth century. 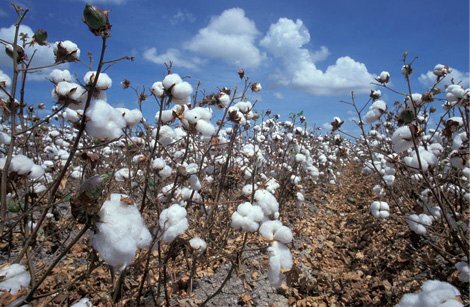 The combination of seed, land and microclimate has made the Peruvian Pima cotton is the finest and longest cotton fiber in the world. When processed correctly, it has a special shine and unbeatable softness to the touch. Moreover, despite being a fine fiber and long, Pima cotton is also more resistant than most other cottons, making the garments more durable. It has a length (mm) of 38.10 to 41.27; a resistor (Pressley) 92.5 100; fineness (micronaire) of 3.3 to 4.00 and a creamy white color.